In addition to her work as a composer, Reena has taught a wide variety of music subjects, as well as practical lessons in piano and composition. She has maintained an active teaching studio for the past 15 years. 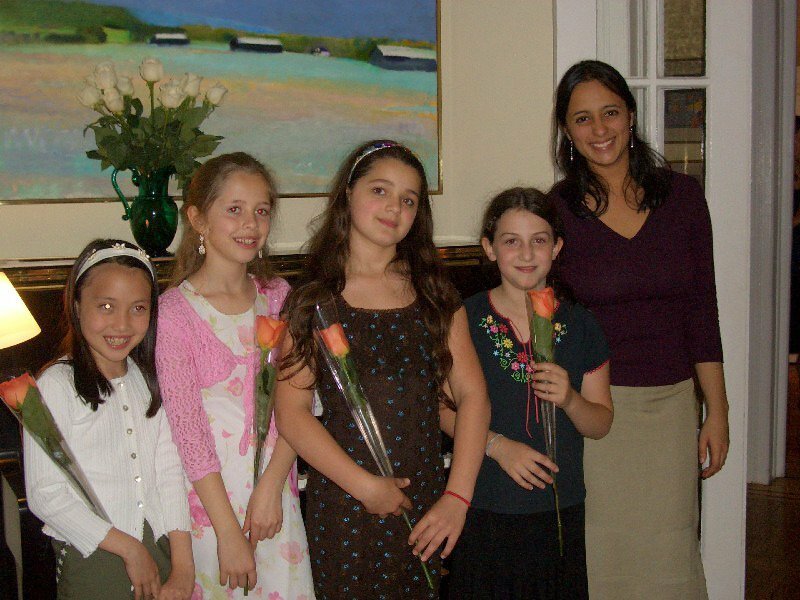 Reena began teaching piano (her primary instrument) in 2000, and has since taught a wide range of piano students, from beginning to advanced, both children and adults. Her students have received Distinction marks on the ABRSM Piano Exams. She aims to build a solid technique and knowledge of the instrument while allowing students to explore their own musical interests, and discover new ones. She maintains a teaching studio in Huntington Beach, CA, and is also available for lessons through Skype. Reena enjoys teaching composition to students of all ages. 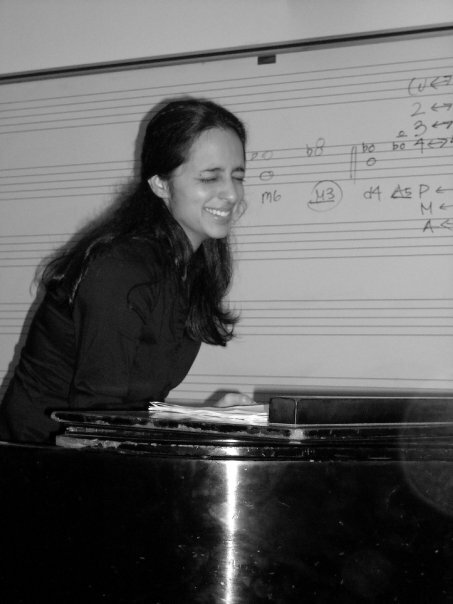 She was on the Composition Faculty of the Manhattan School of Music Precollege from 2008-11, and she taught composition to undergraduate students in the Yale Department of Music in 2010. Her students have written for a variety of ensembles, from solo instruments to full orchestra. She aims to build a solid working knowledge of notation, theory and orchestration in her students, and also encourages creativity and experimentation in their original work. Reena also matches her composition students with excellent performers who can perform and record their work, which she believes is a critical part of the learning process. Music Theory / Ear Training etc. Reena has taught many music classroom subjects. She taught classes at the Manhattan School of Music Precollege (2006-2009) and Yale Department of Music (2010, 2012-2014). She also tutors privately in music academic subjects upon request. During her time in India, Reena spoke about her work all over the country as an INK Fellow (in association with TED). Upon returning to the US, she gave a talk at TEDxSkidRow in Los Angeles, CA (available here). Reena has been invited to give lectures at schools and colleges on a variety of musical topics, including Indian music, new concert music, and composition seminars on her own cross-cultural work. She has spoken at Vassar College (Poughkeepsie, NY), Yale University (New Haven, CT), College of the Holy Cross (Worchester, MA), Azusa Pacific University (Azusa, CA), The Kings School (Goa, India) and others. Recently, Reena has begun providing consultation to music students wishing to apply to conservatory and/or music programs within the US — primarily international students from India. The conservatory application process can be very difficult to navigate from another country, without the aid of someone who is familiar with the requirements and application process. If you are a high school or college student student who is interested in applying to conservatory and would like a consultation, please contact Reena via the contact page.